Would you like to recruit more international boarding pupils? Do you need to recruit pupils from a range of countries to create diversity in your boarding community? If so, we invite you to attend this exciting event! Meet face-to- face with carefully selected, reference-checked educational agents who are experienced in placing pupils in UK boarding schools. A cost-effective and time-saving way to meet 100 quality educational agents representing over 50 different countries. What is the British Boarding Schools Workshop? 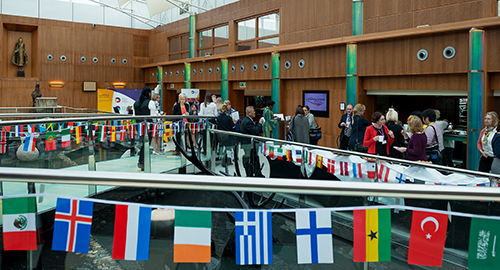 The British Boarding Schools Workshop has a well-earned reputation for being the most successful way for UK school staff to recruit international pupils by meeting face-to-face with quality educational agents recruiting from over 50 countries worldwide. Over two days, school staff and agent delegates have pre-arranged 20-minute appointments, enabling them to meet personally with both new and existing partners. The meetings provide the opportunity for developing and enhancing long-term partnerships based on mutual trust and understanding, which underpins the success of any school's international pupil recruitment strategy. Why should your school attend the Workshop? Our school clients tell us that the BBS Workshop is the market leading event and one they can't afford to miss. The events sell out in less than 3 hours, a whole year in advance, which is testament to their popularity! The Workshop is probably the most cost-effective and time-efficient way of establishing quality agent contacts around the world as, at each event, there are 100 agents recruiting from over 50 countries. It would take years to visit all of these countries on a school's marketing budget! The Workshop is not just an event, it is a community. As the organisers, we foster a friendly atmosphere which is conducive to an effective and fun working environment where people have respect for each other. Our small, experienced team get to know the delegates via regular correspondence leading up to the event and can give them a personalised welcome on arrival. Suzanne, Alicia and Jan have years of experience of working in and with British boarding schools. They are well placed to help you get the most out of the event with helpful advice on specific markets, which agents to meet and the practical matters of what to bring and how to prepare. "Since I started this year as Director of Admissions, the BBS team have been a very important source of information. They are all so welcoming and keen to help - it feels like a team effort between schools, agents and the BBS Workshop." It is a well-known fact that people work best with those they 'know, like and trust'. Getting to know people via the scheduled meetings provides the foundations for developing successful partnerships based on mutual trust and understanding. The social opportunities provided at the lunches, drinks receptions and dinners enable delegates to really get to know and like each other. Over the years, strong friendships have developed which makes the BBS Workshops have a family, community feel. "The BBS Workshop was a fantastic first step into the world of overseas recruiting for me as a new Registrar. It provided me with a great opportunity to meet agents from around the world and through the seminars gain a real insight into the education system in several other countries. I made firm friends in the BBS team whom I will be able to call on for help and advice should I need it." The BBS Wokshops were set up in 2006 by Suzanne Rowse, who had previously worked as the Marketing Manager at a boarding school for 8 years. She believed schools needed an event like this to facilitate the recruitment of overseas boarders. Suzanne now has almost 20 years' experience of boarding schools marketing and is a regular conference speaker and trainer on international marketing strategy. The success of the event depends on ensuring there is a good match of agents and schools. We have a rigorous application process and accept agents who are knowledgeable about the schools' market and committed to recruiting students for British schools. "We are now really confident of exceeding 500 pupils for the first time in over 11 years. 70%+ of these will be boarders and it occurs to me that much of the terrific growth we have enjoyed during the last 18 months is directly due to pupils placed with us by agencies met at your last two Workshops." Which countries do agents represent? Schools can choose between a Standard and Premium Workshop package. Each package provides a meeting table with four chairs, electrical power and access to the Workshop for one person with meals, refreshments and a delegate pack provided (excludes B&B accommodation). In addition, the Premium package enables schools to bring display banners which can be placed behind the table to raise the profile of their school. Both packages provide one user with access to our EASy appointment-booking system, where users select and book appointments with the agents they would like to meet over the two days. There are 28 appoimtment slots. You can choose to bring futher representatives from your school to attend some or all of the Workshop elements at an additional cost, and this is a great investment as it allows for extra networking benefits with agents. Each school may add one further EASy user account to their package at an additional cost. Please click on the packages and additional items below to find out more. You can apply to attend a Workshop by completing an application form. View details of forthcoming Workshops below. We have limited places and the Workshops do sell out very quickly - normally within 3 hours! As a result, we run a waiting list. If your preferred Workshop is already fully booked, you can complete an application form to be added to the waiting list. We will contact you as soon as possible after application to let you know whether you have a confirmed place to attend a Workshop. We run a future bookings list for girls' schools as we cap the number at each event due to high demand. You will need to contact us in order to check the next available place if you work in a girls' school. In addition to attending the BBS Workshop, agents have an opportunity to visit schools after the event. 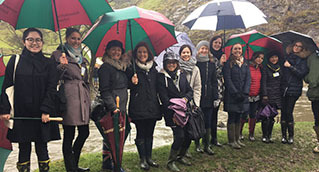 The familiarisation trips (or FAM trips as they are known) are valued by the agents as they add to the value of the meetings at the Workshop and give them an opportunity to see the schools first-hand. Click below to find out how your school can take part in a FAM trip. Over 250 independent boarding schools have taken part in the BBS Workshops since they were set up more than 11 years ago. We now run two Workshops each year, in March and November, at the Radisson Blu Edwardian Hotel near London's Heathrow International Airport.